There is new free ADF eLearning material available from Oracle - ADF Academy delivered online and available to anyone. 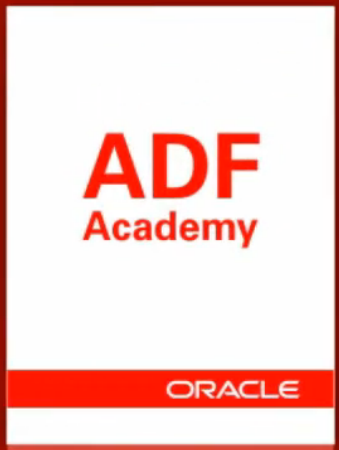 You can access and learn from the first published course - Developing Applications with ADF Mobile. 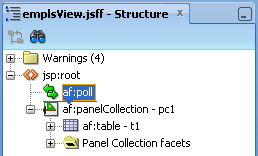 One of the great things about this material - different technical resources are collected into one single place. 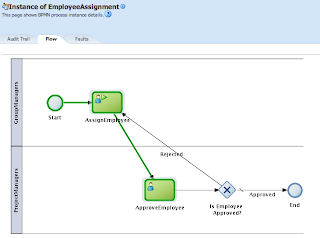 Plus interactive way of viewing these video/audio resources makes ADF learning real fun ! 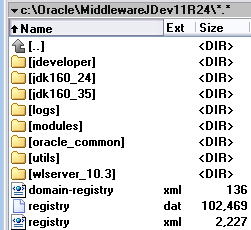 We were facing issues overriding Custom Transaction Factory in ADF 11g R1, it was initialized only for the first loaded AM, this seems is not the case anymore in ADF 11g R2 (11.1.2.x). 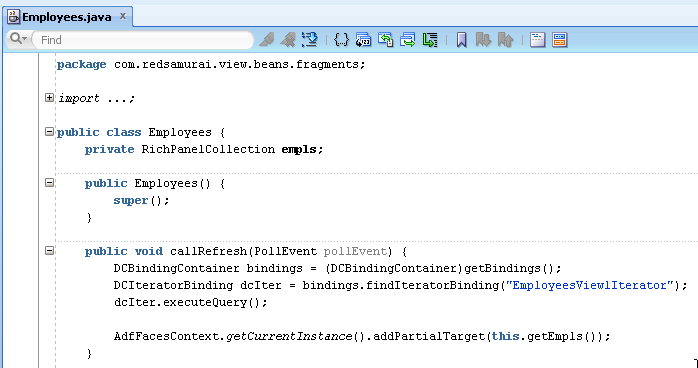 I would like to present today a use case of implementing global after commit call. 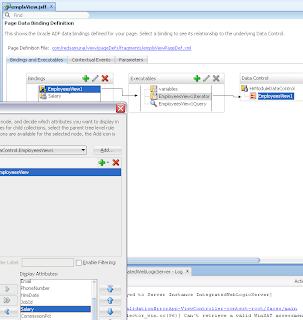 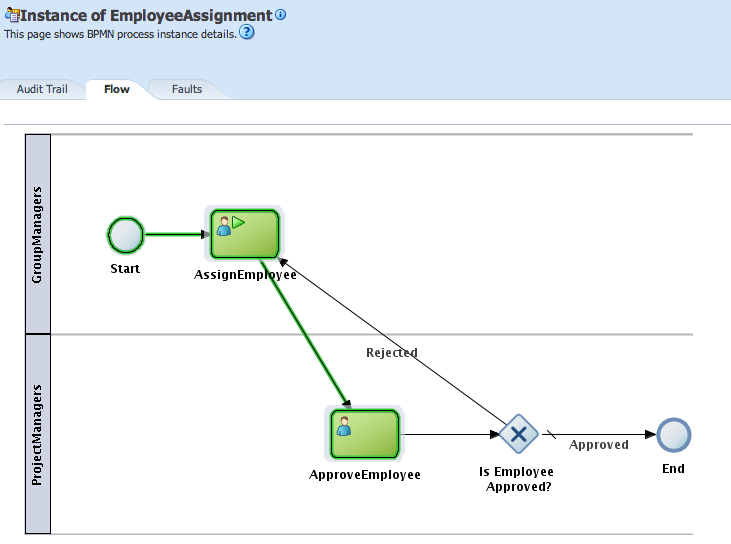 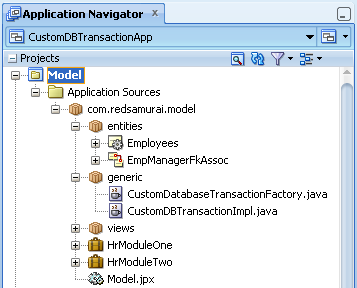 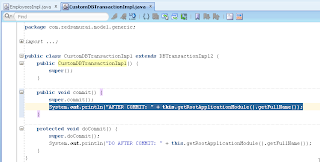 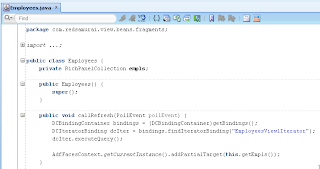 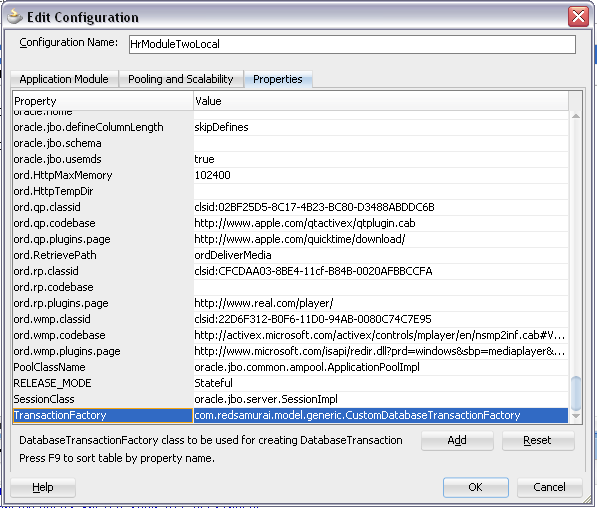 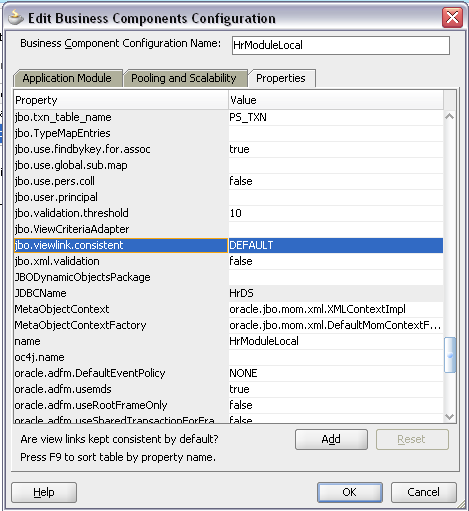 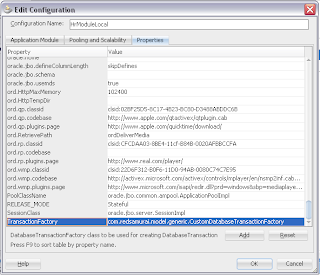 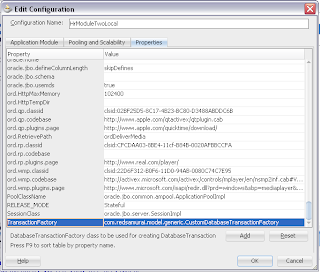 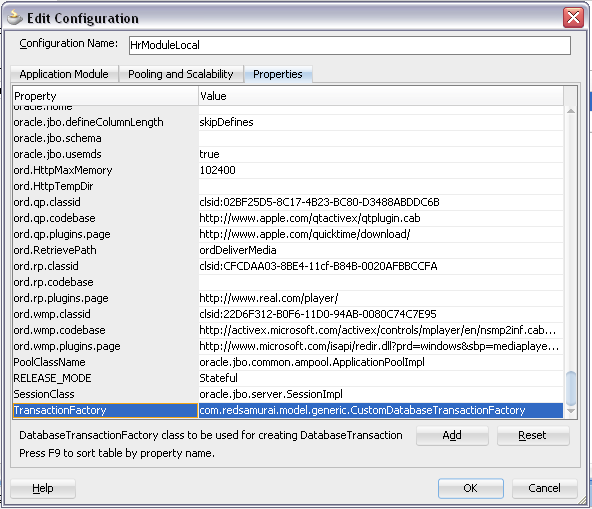 Read more about use cases with Custom Transaction Factory in ADF Developer Guide - 12.8 Customizing Business Components Error Messages. 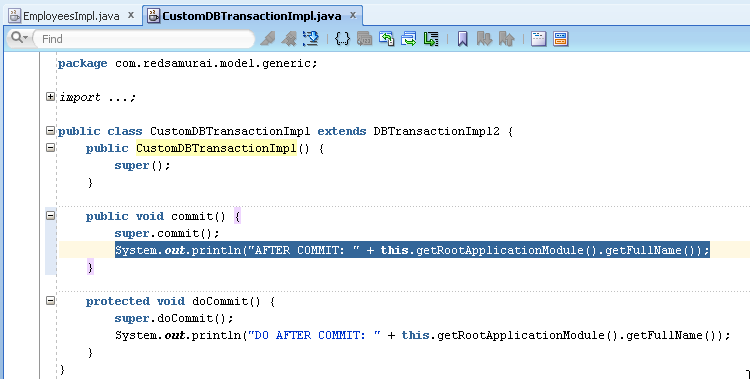 If you want to execute code after commit operation was completed, you should call it after super in commit() method. 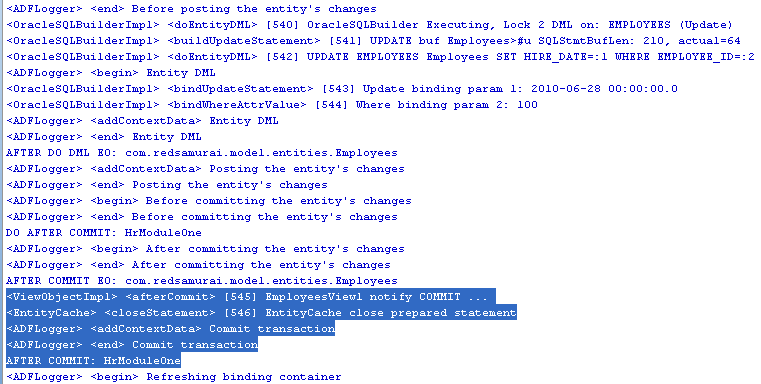 This will be called one single time after commit, for all EO's at once. 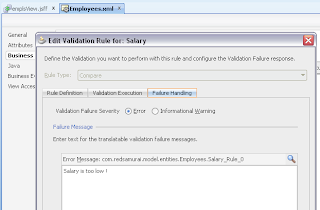 There was a question on ADF Masterclass Webinar (Video: ADF Master Class and ADF Blog Q&A, Andrejus Baranovskis (Part I)) about removing new row from ADF Form. 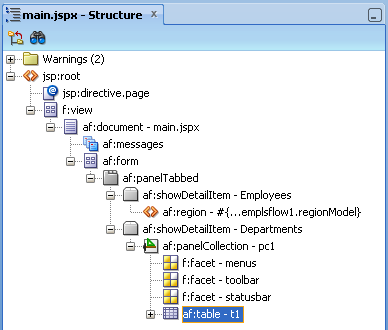 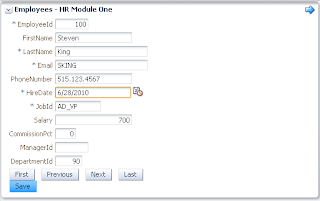 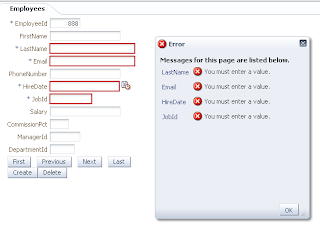 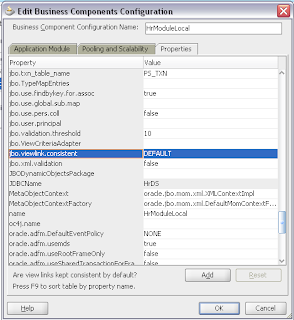 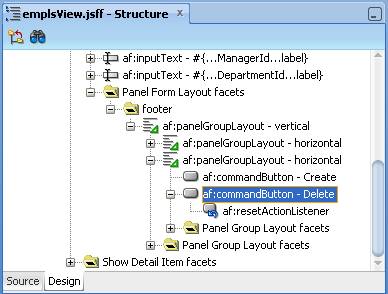 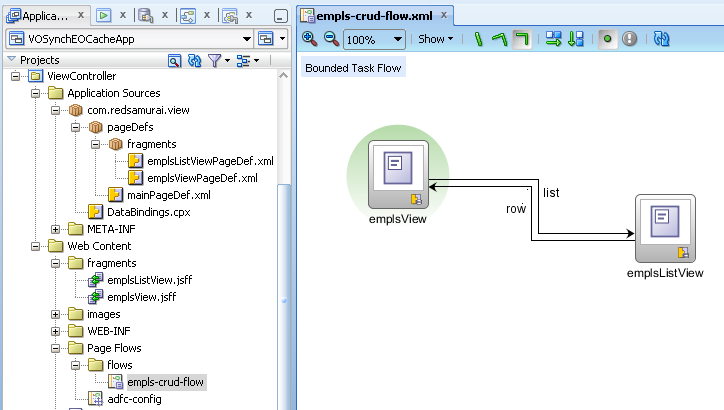 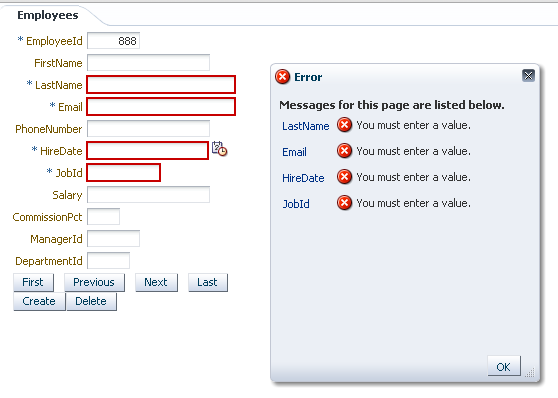 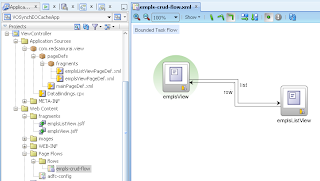 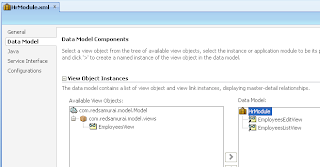 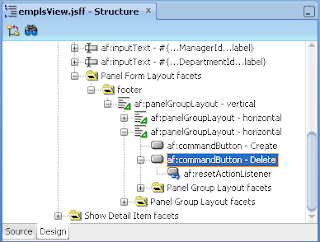 I have a blog post about removing new row from ADF table - Immediately Removing New Row Without Validation in ADF, but one of the Webinar participants was saying the same doesn't work for ADF Form layout component. 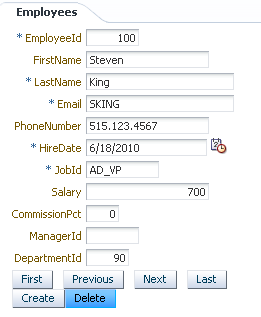 I promised to double check this and post sample application. 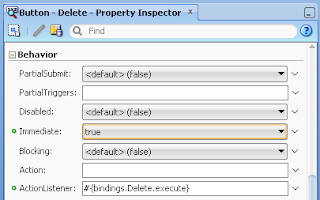 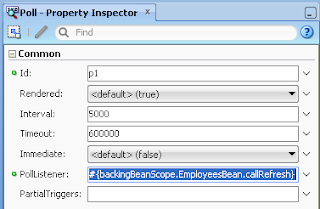 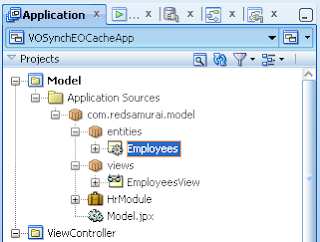 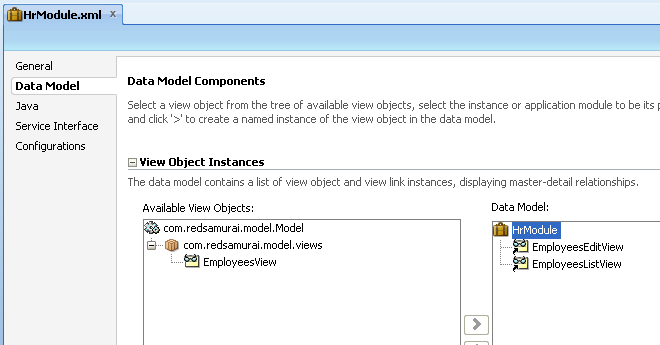 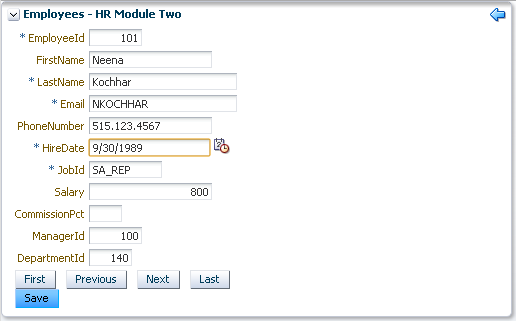 For ADF Form component is not enough to set Immediate=true property only, ADF resetActionListener must be added to force form refresh. 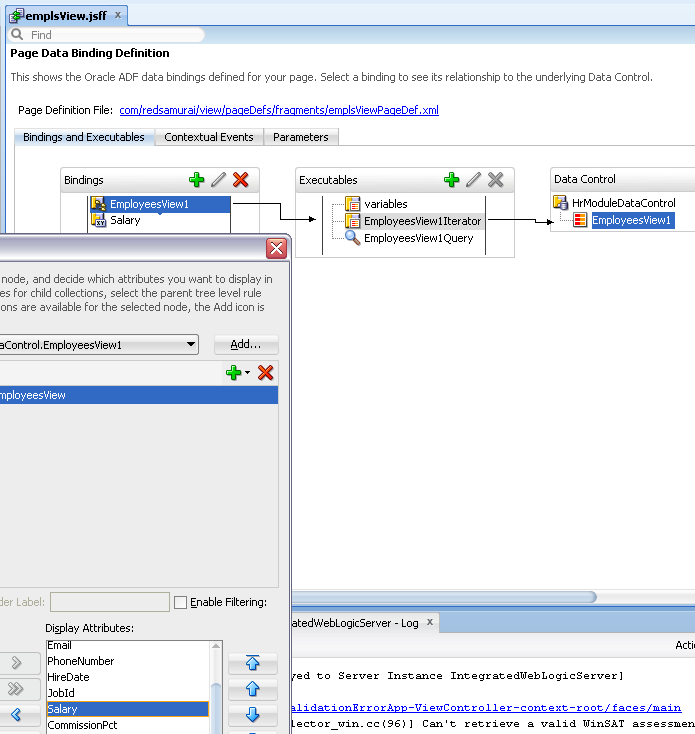 Idea of this post is to go a bit deeper and to show how you control data sharing between VO instances programmatically. 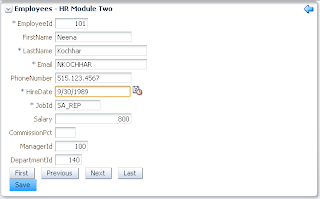 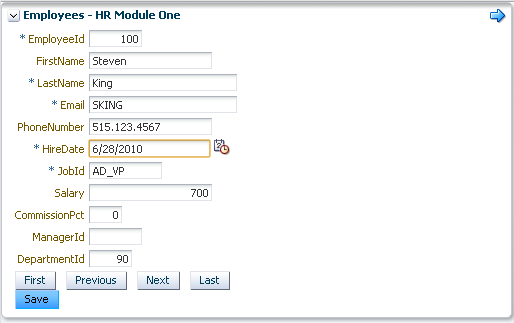 For example how to delay new row sharing between VO instances until this row is commited. 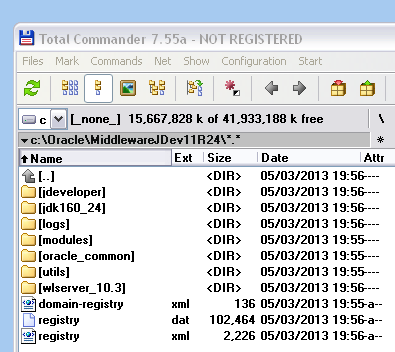 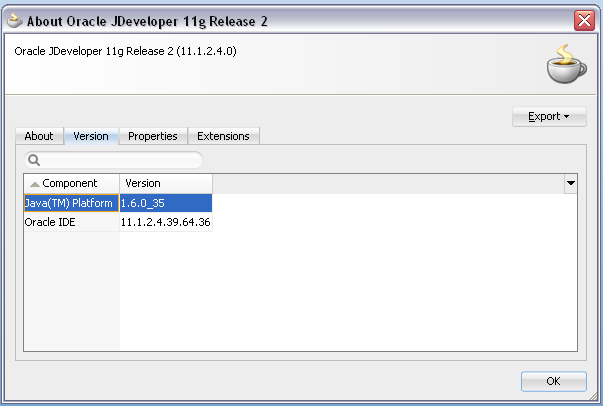 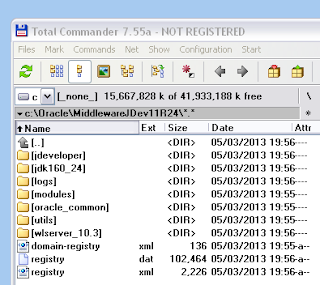 Still this is quite funny - why JDK 1.6.0_24 would be included if JDEV requires JDK version 1.6.0_35. 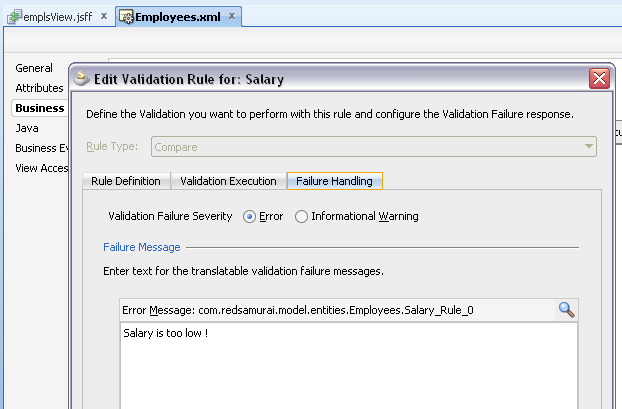 Here you can download sample application with duplicate validation error message, try to fix it as described in this post - ADFValidationErrorApp.zip.